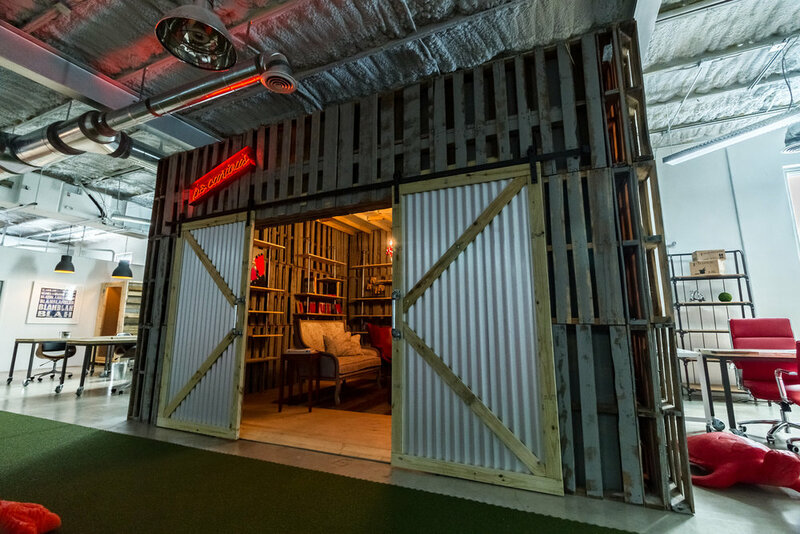 When Creative Edge Partners reached out with their bold yet humble wooden house project for Design Miami 2018 we couldn’t resist taking on the challenge! 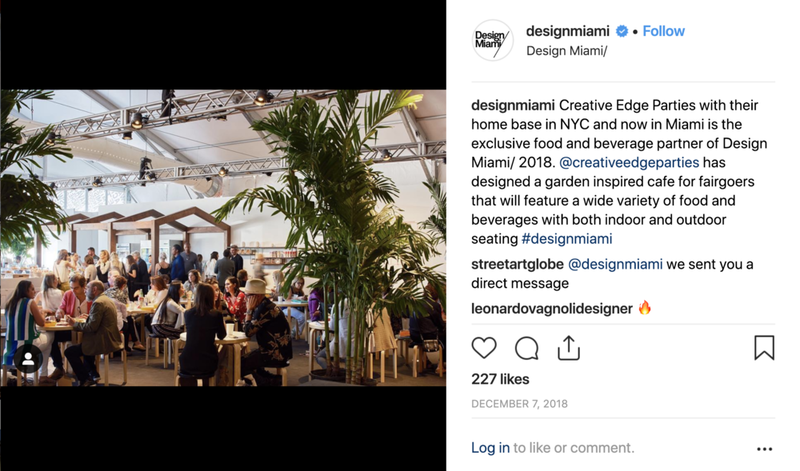 Creative Edge Parties with their home base in NYC and now in Miami was the exclusive food and beverage partner of Design Miami/2018. 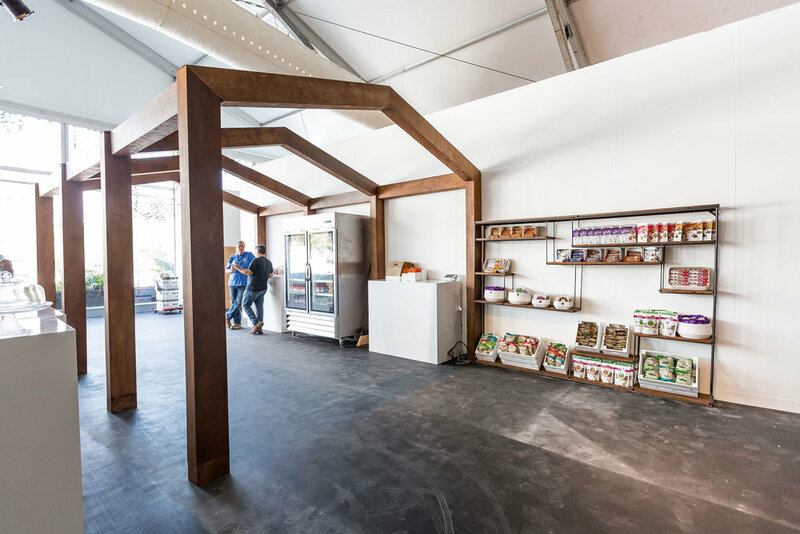 They designed and Scotty Wonders built a garden inspired cafe for fairgoers featuring a spectrum of food and beverages with both indoor and outdoor seating. 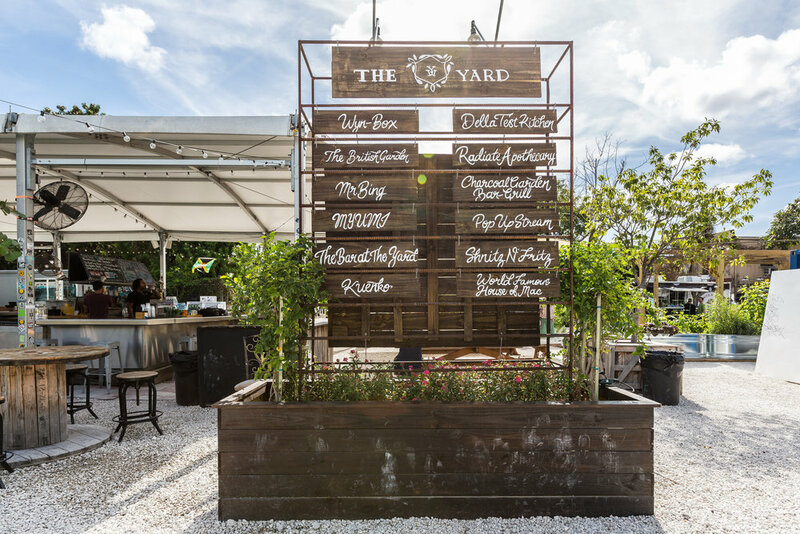 "Wynwood Yard–the Miami Woodstock for locals to indulge themselves in live music, cultural activities, and food–was created." 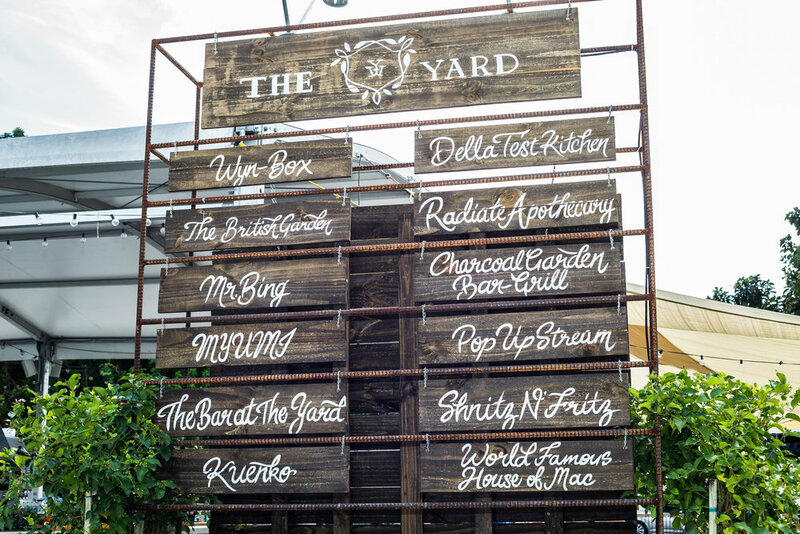 Who can say no to Della Heiman, founder and brilliant mind behind the Wynwood Yard. 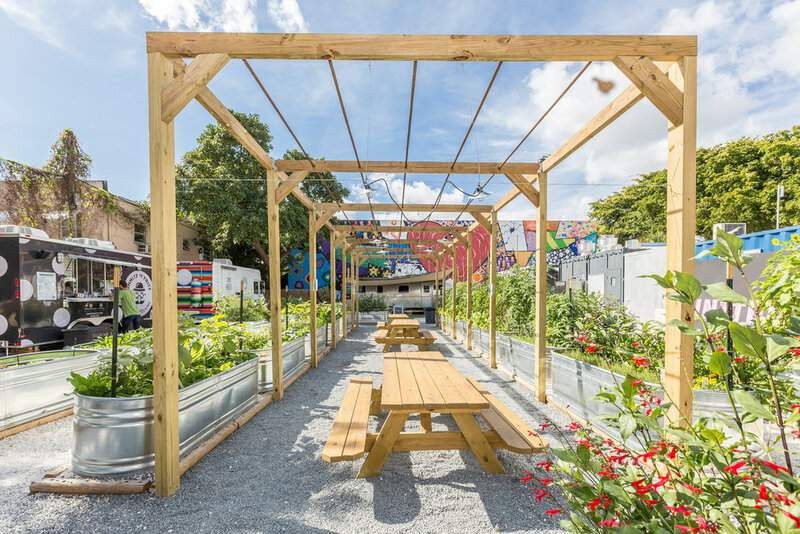 For this project, we were tapped on the shoulder to create the rebar pergola in their urban farm station and the modular sawhorse inspired picnic tables. 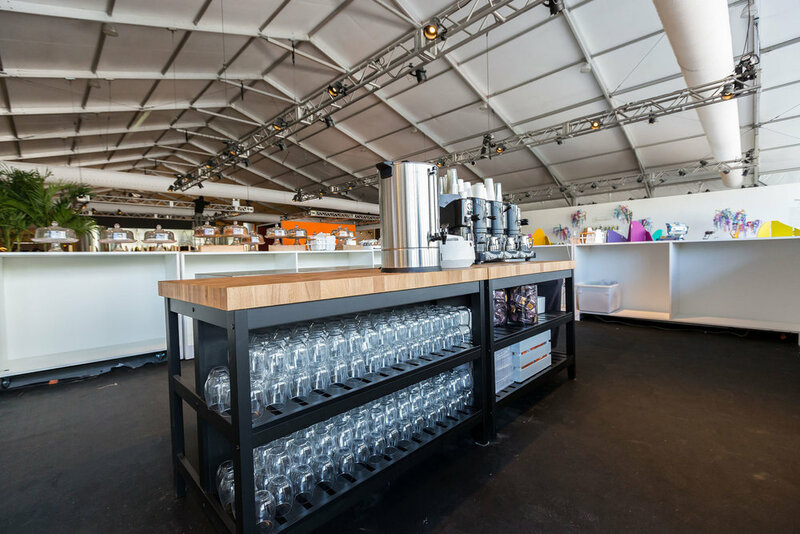 Weather enjoying a refreshing drink on the hammocks or a bite of culinary heaven you will experience the talent craftsmanship of our design team. 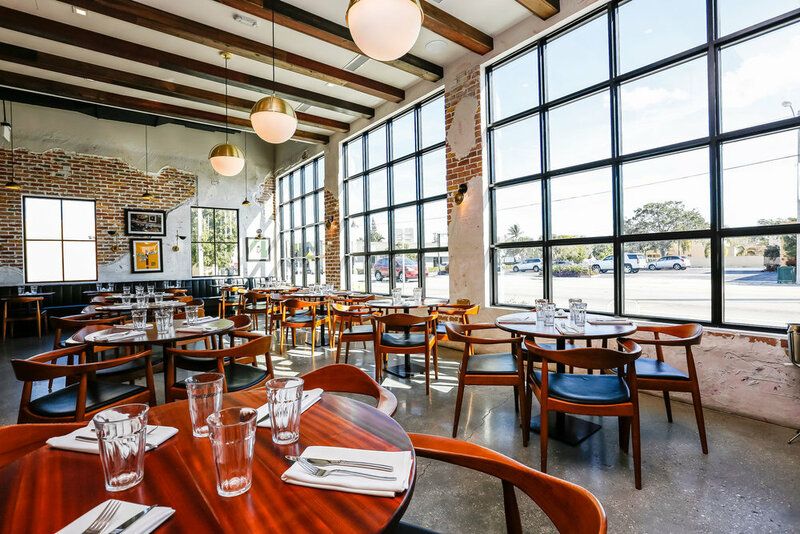 "The restaurant rises in sleek lines that lend a modern frame to its vintage heart." Mazie’s was a true family affair! 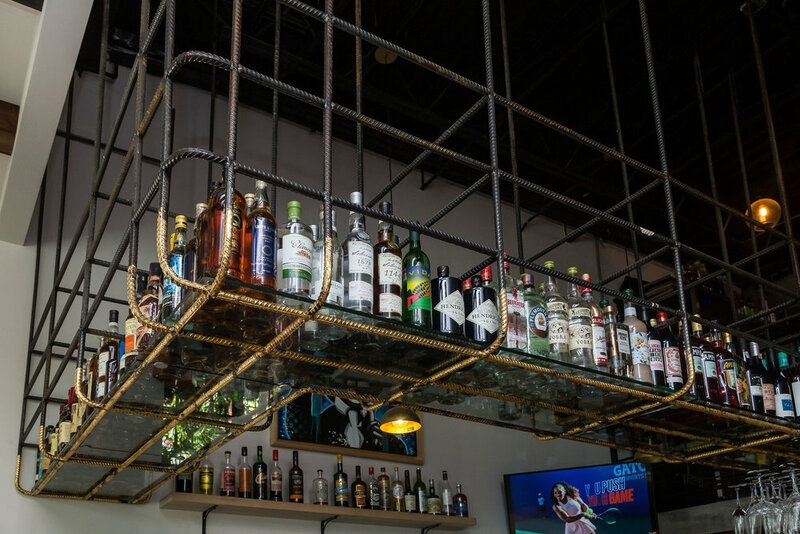 Our creative team worked hand in hand with restaurant owners Eric Baker and Jason Lakow to craft a space that blends Old World aesthetic with New World vibes. 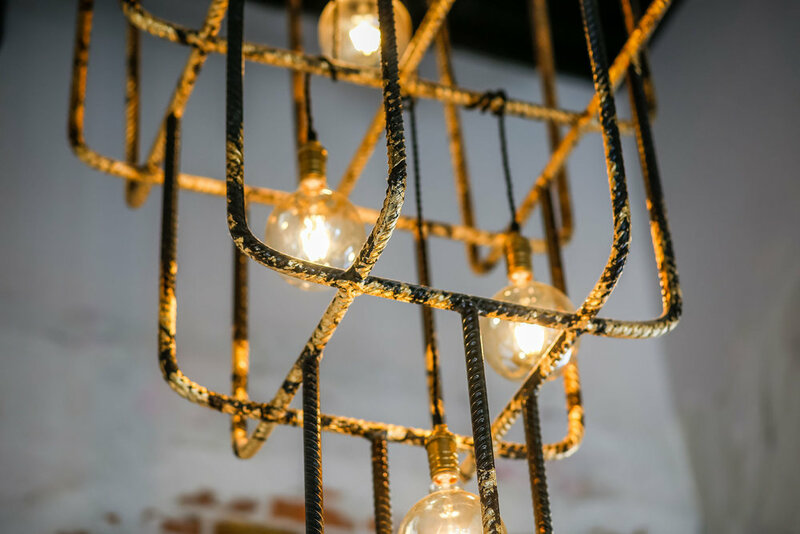 Do you love distressed brick walls, wood beams, oversized windows, gold leaf rebar chandeliers, vintage photographs and an open kitchen? Check out this space in person. What’s for dinner? Experience our work firsthand…pull up a chair and tell them Scotty sent you! 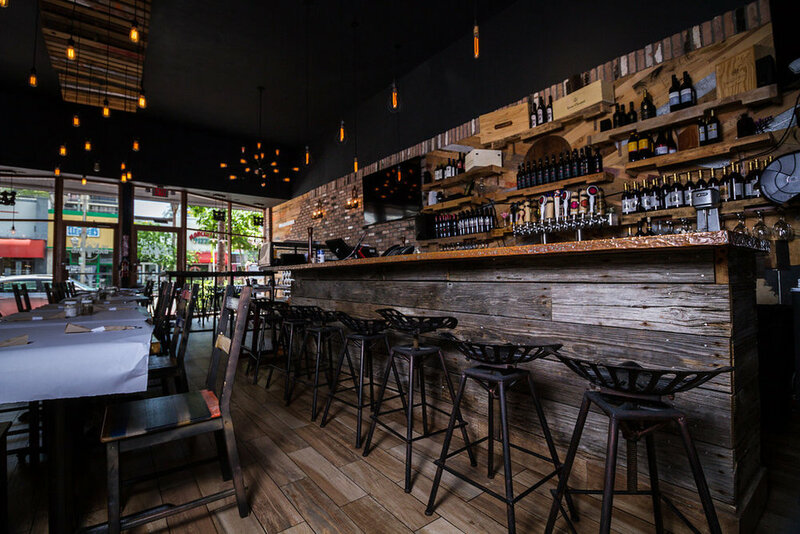 "The best place for a first date in Miami." 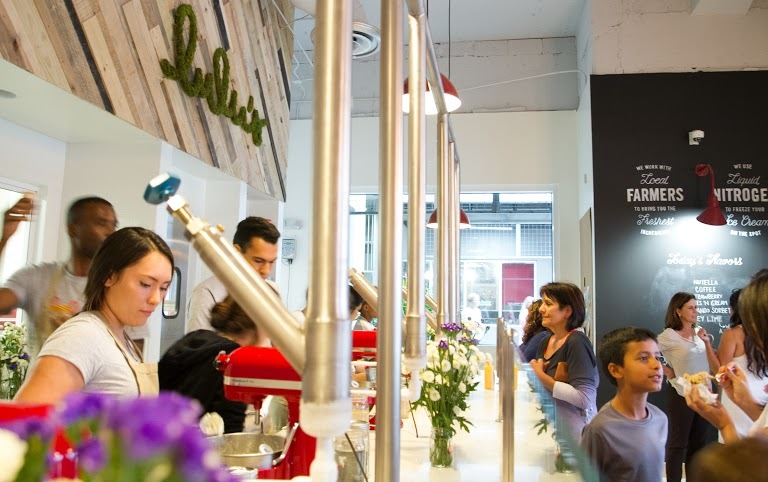 There's nothing like delicious décor to set the stage for an even more delicious ice cream experience. 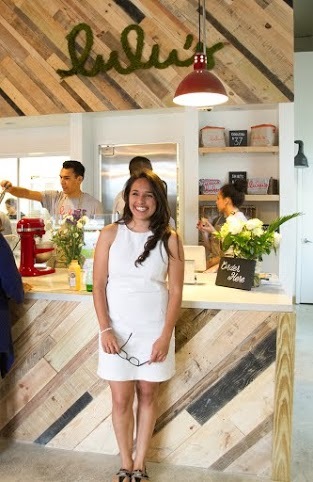 Louisa came to us as a budding entrepreneur with an endless stream of ideas and hopes for the build out of her first ice cream shop. 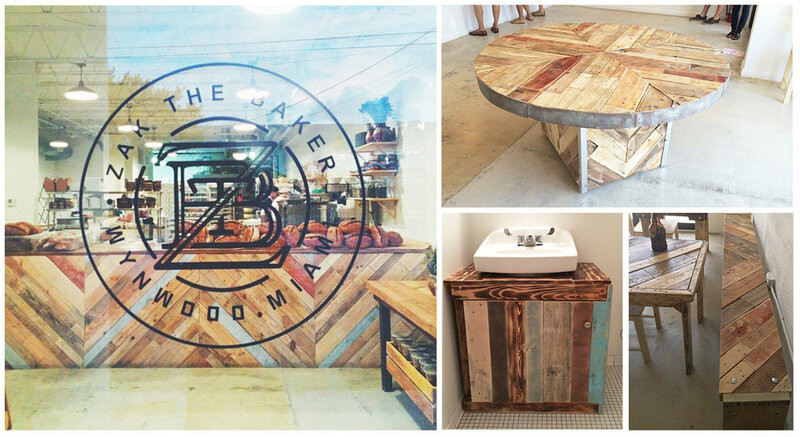 cozy wooden sugar den we came up with the concept of utilizing reclaimed pallet wood in various herringbone patterns to create the counters, signage and furniture. Our favorite piece was the mini kids table! One can never go wrong with their avocado toast! Little River, Miami specializing in wholesome and tasty bites. 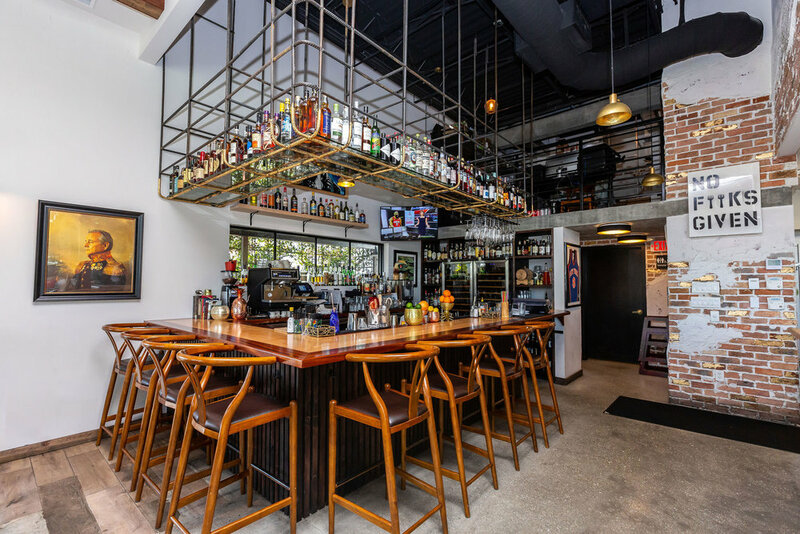 This project was a full scale buildout from the bar to the café tables and serving trays we worked hard to showcase his love for all things Miami Made. We used “shou sugi ban” the ancient technique of Japanese wood charring. This process of burning the wood created an antique aesthetic to his modern café. Open space, clear vision and a thirst for the unique is what paired the HES Group with our design team at Scotty Wonders. “At HES Group, passion drives everything we touch – we are inspired by the people and cultures that surround us, and use our projects to push boundaries, innovate, tell a story and create unforgettable experiences,” Francisco Arocha, managing partner and CEO of HES Group. 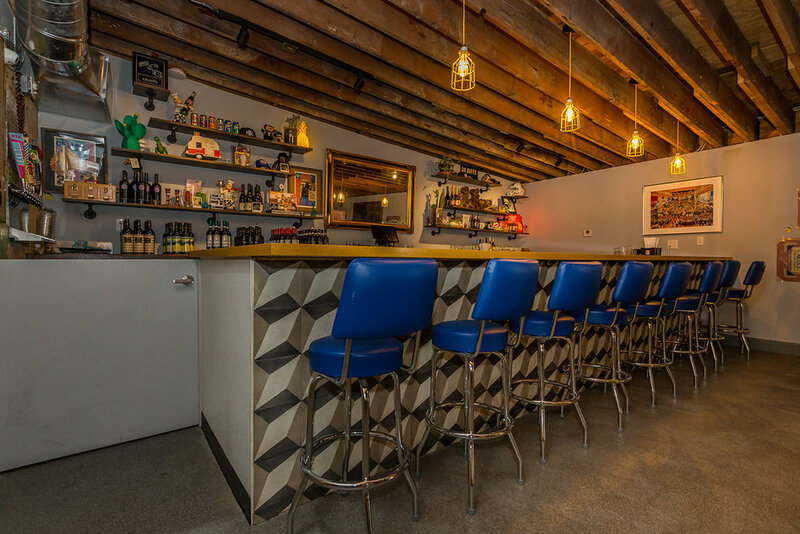 Fueled by dedication to his craft, Jason Wiesberg called upon our team to build a bar that could rival the deliciousness of their signature wood-fired Neapolitan pies. Challenge accepted we took to the drawing board to design the mahogany bar, hand welded 10 ft communal table and the custom plumbing pipe lighting fixtures. 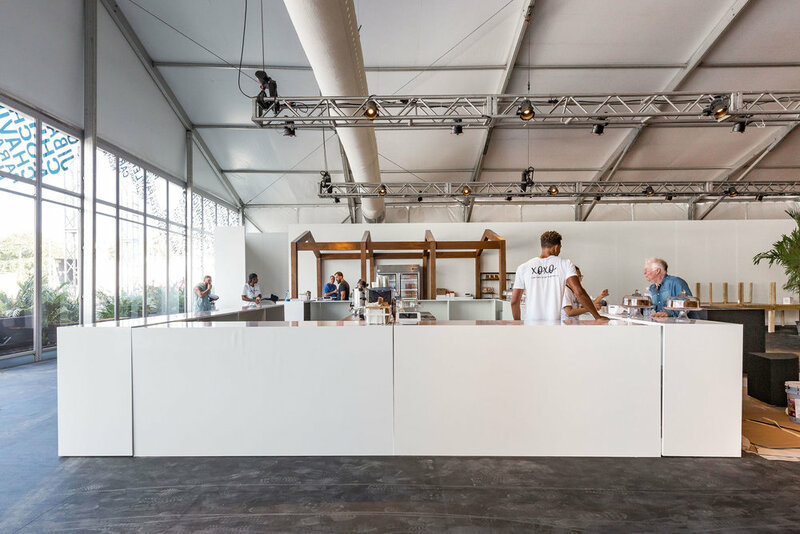 We are proud to have worked on a project that is a celebration of true American artistry, entrepreneurship and culinary genius! Kiss the cook or kiss the craftsman? We had delicious fun coming up with the design for this cozy kosher BBQ spot. 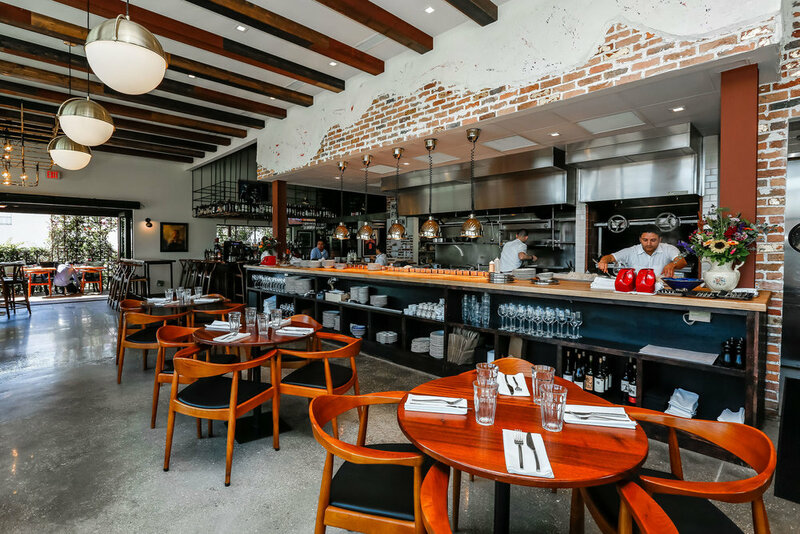 Offy Shifman came to us as a excited chef turned restauranteur in need of a concept and full build-out of his new restaurant. 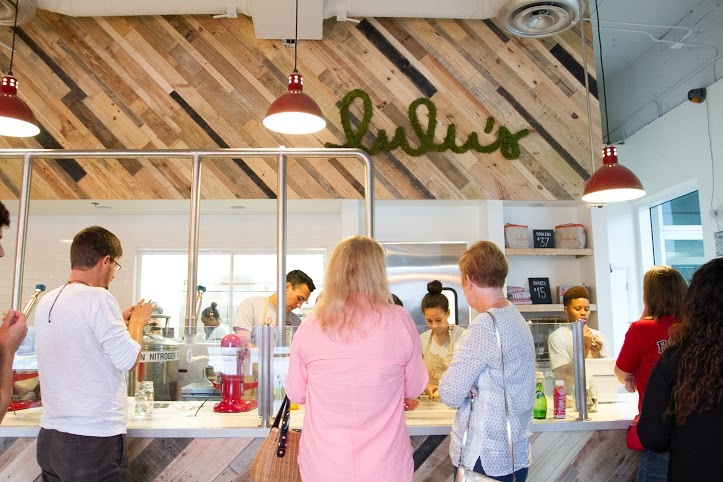 We carefully mirrored the wood and decor choices to complement the menu and vibe. 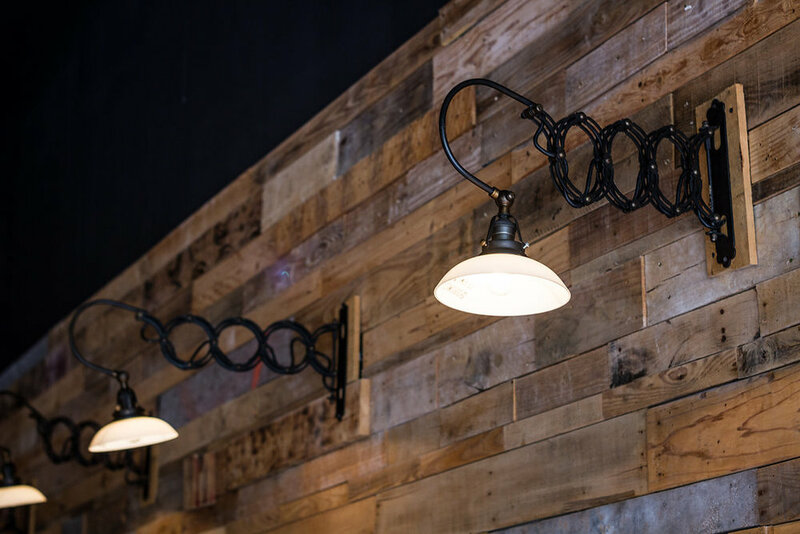 Our favorite highlights were creating the reclaimed dock wood + copper top bar and the pallet plank hand distressed wall coverings. Sweet as molasses! 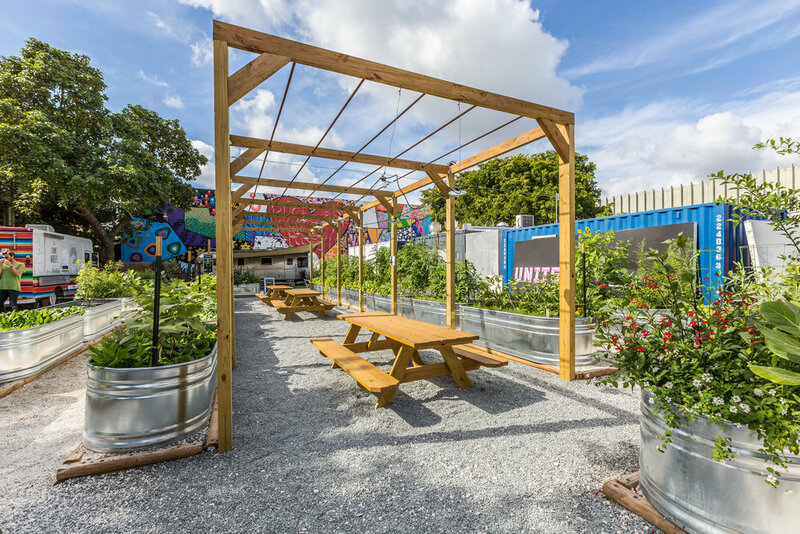 This cozy eatery is a kosher bakery/cafe preparing signature sourdough & other loaves, plus sandwiches, soups & salads located in the heart of Wynwood. 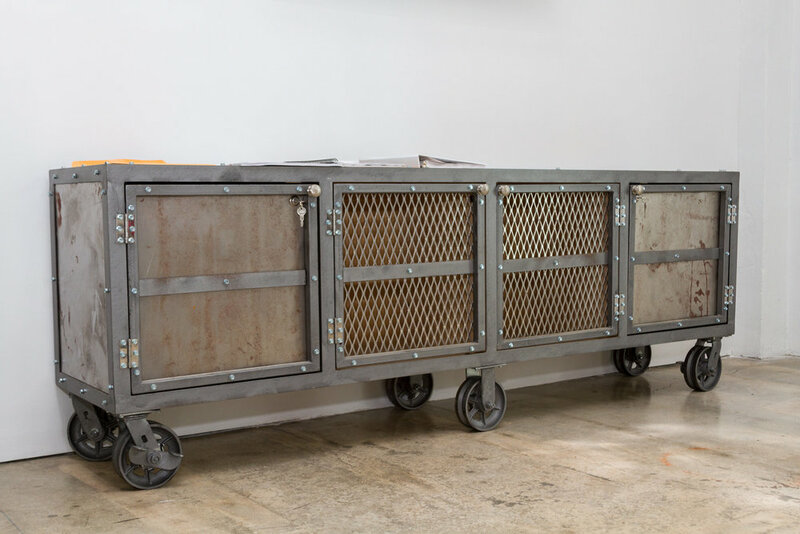 Zak came to us with the task of using sustainably sourced materials to create furnishings and décor that matched the hand crafted aesthetic of his brand. 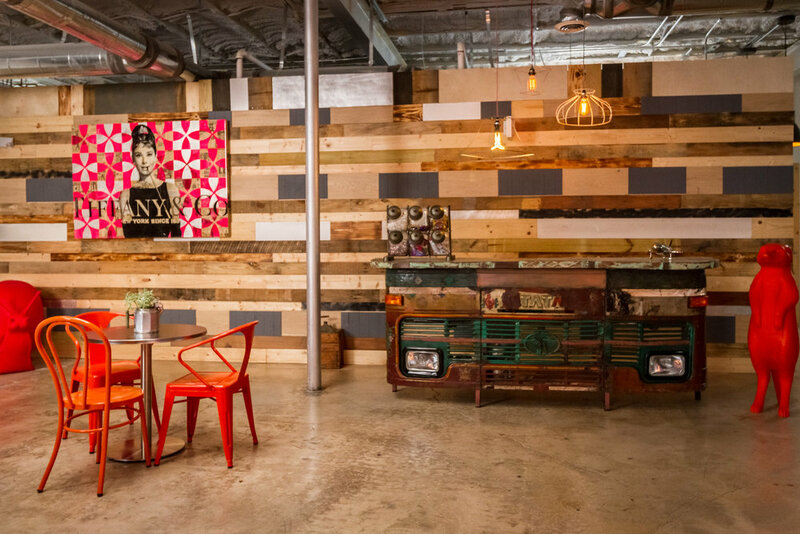 We used local reclaimed pallets from a Little Havana warehouse to fabricate communal benches, artisanal café tables and a multiuse bar build out. 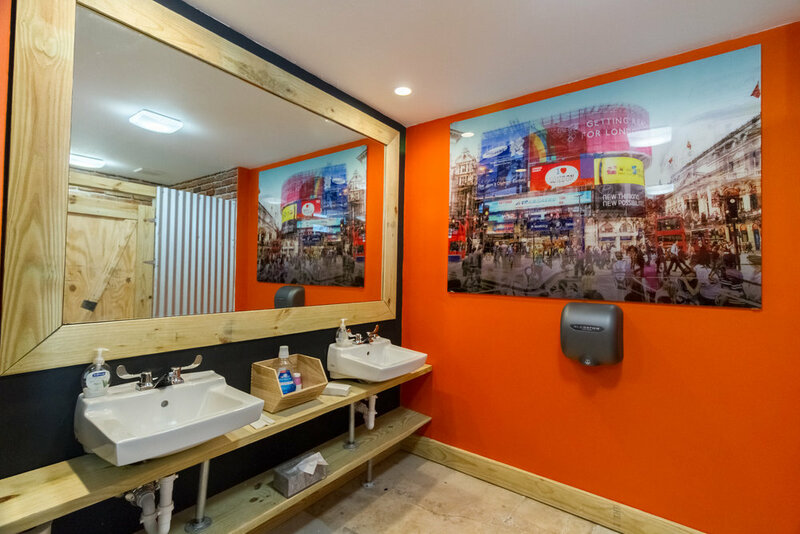 Our woodwork has been the lovely backdrop to over 12K delicious customer produced photos! Yum. 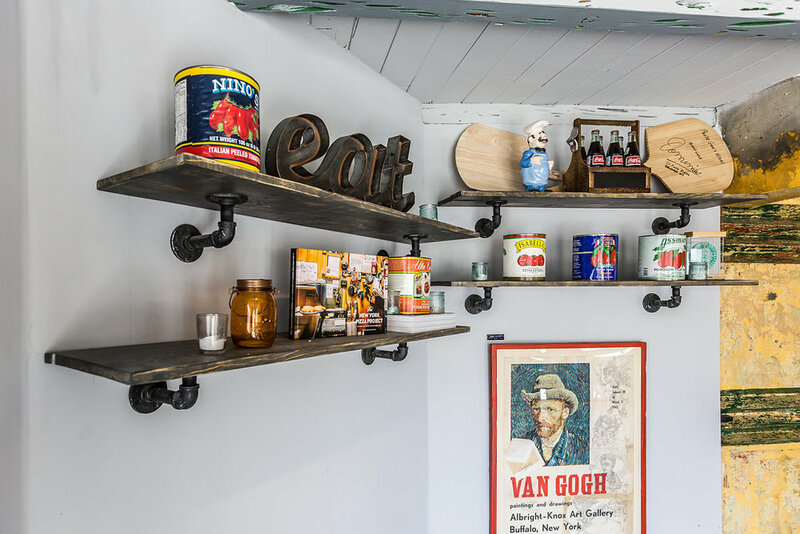 Built-to-order items for the home, outdoors and lovingly special events. 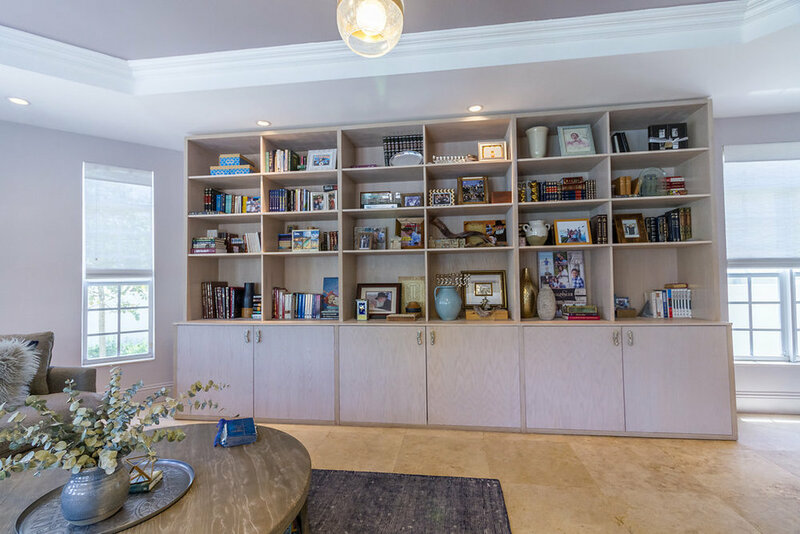 Take a sneak peak into the home of local social media + plastic surgeon icon Dr. Michael Salzhauer a.k.a. Dr. Miami. With a definitive eye for precision, design and comfort we crafted this beauty to house his collection of books and treasured photos.